You are here: Home / Equipment & Apparel / Manduka! I’ve admitted to being a bit of a gear hound when it comes to my yoga practice and recently, I’ve been introduced to Manduka, a cool company from the United States that produces all of their yoga products in an eco-friendly manner, making sustainability one of the primary goals of their company. They are perhaps best known for their yoga mats, which I can assure you are gloriously plush, in particular the Manduka Pro, which comes in two lengths, for those taller yogis who hate having half of their body dangle off the end of the mat. 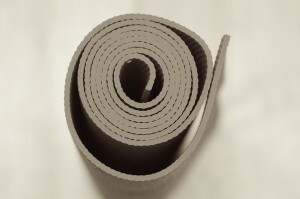 It is also very thick and dense, which makes it great for any surface (think of those yoga classes in the park!) 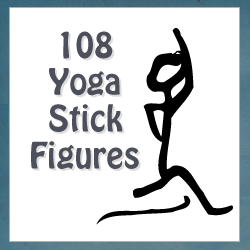 and for those who may have any injuries that make certain poses more tricky than on a conventional thinner mat. Manduka also has a variety of other mat options, including sparkly options (for the glittery ladies in the house), travel options (for those of you so inclined while on vacation) and your straight standard mat, which is of high quality and of course, ecoconscious. But when you buy a mat at Manduka, you aren’t just getting a piece of rubber to add to your practice, you’re also helping the planet. The company has a mat recycle program in which each time you order a new mat, you can click from their drop down menu to recycle your old mat, or you can opt to have a mat recycle kit mailed to you. The ecoconsciousness doesn’t end there! Their bags and clothing items are all made using sustainable and unbleached materials and dyes are low in chemicals. One of my favourite products is their mat wash. I’m a bit of a freak about cleanliness, so I obsessively clean my mat after each use and to be honest, I know I don’t always use the right products. This can lead to annoying flakes and peels off your mat and inevitably, you end up replacing it earlier, costing you oodles of extra cash. Their wash is ecofriendly and doesn’t use any harsh chemicals but ensures your mat is disinfected and smelling tasty, thanks to the essential oils they use. With Manduka, you can rest assured that you are getting excellent product and looking after the environment, all at the same time. What could be better than that?